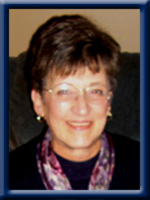 BUTLER – Judith C., 70, of Milton, Queens County, passed away peacefully in QE II, Health Science Centre, Halifax on Friday, October 11, 2013. Born in Halifax, she was a daughter of the late Oscar and Dora (Carver) Mills. Judy graduated from Liverpool Regional High School in 1960 and attended Nova Scotia Normal College in Truro and Dalhousie University where she received her Teacher’s Certification. She taught in Hamilton, ON, as well as various schools throughout Nova Scotia including Colchester/East Hants, South Shore Regional School District, Adult Vocational School in Truro and Shelburne Group Home. She was a former co-owner, with her late husband Eric, and manager of Motel Transcotia in Brooklyn. In her later years, she provided private in-home care to various people in and around Liverpool. She is survived by her daughters Kelly (Jeff) Whalen of Liverpool, Kimberly Roy (Scott Smiley) of Beaverbank, Wanda Heath and Deborah Noseworthy, both of NL, her sons Dave (Julia) and Ken , both of NL. Her grandchildren Chelsea, Brett, Colby, Bruce, Dara, Crystal, Tania, Gregory, Adam, Tony, Hayley and Kyle. Her brother Father Wayne of Kirkland Lake, ON. She was predeceased by her husband Eric. Visitation will be Monday, October 14, 2013 from 7 until 9 p.m. in Chandlers’ Funeral Chapel, Liverpool. Funeral service will be Tuesday, October 15, 2013 at 11:00 a.m. from Trinity Anglican Church, Liverpool. Reverend Judy Cross officiating. Burial will be in Trinity Anglican Cemetery. Family flowers only, donations may be made to the Rose Fund or to the Sunshine Room, QEII, Health Science Centre, Halifax. Online condolences may be made to www.chandlersfuneral.com. So sorry to hear of the passing of your mom. Keep your memories of her close to your heart and she will always be with you. To Kim & Kelly just to let you know that you that I am thinking of you both at this sad and difficult time.Always remember the special times that you have all spent together and with family and friends to help you get through. Kim and Kelly. I am so very heavy hearted. She was a most special person and the best cousin in the world. So sorry for your loss. We are thinking of all of you with heartfelt sympathy at this most sad and difficult time. My condolences on your loss, may you keep her alive in the hearts of those closest to you and share stories and memories often. Your mom always had a smile that lit up the room and the spirits of those that came in contact with her. She was a hard worker with a gentle spirit. Hugs to all of you today and for the days ahead. Kim, Kelly & families: So sorry for your loss. Your Mom is at peace now, no more pain or worries. Cherish your memories & keep them close to your heart. Thinking of you & praying for your comfort at this sad time. Thinking of you at this very difficult time, our condolences and prayers. God Bless. I am so sorry for your loss. Judy was a very determined and brave lady. I enjoyed my talks with her. She will be fondly remembered. So sorry to hear of your loss. Take comfort in knowing that your Mom is now at peace and no longer suffering. She will be sadly missed but fondly remembered by all that knew her. Being a good friend of Judy I was so sad to hear of her passing but know she has no more suffering . She will be missed by so many especially her family. I am sure there were many happy times so you have something to remember of the good times. May God comfort all of you. Dear Kim and Kelly: I am so saddened that you have lost your Mom. My sincere condolences to you and your family. Judy was a dear caring woman, always there for others lending a helping hand. God Bless You. I am saddened to hear of your Mom’s passing. She was such a thoughtful and friendly person, always taking the time to stop and chat no matter how rushed she was. Your loss is great but the memories will give you comfort. Thinking of and praying for you. all. She is at peace now with no more sickness or pain. Family ; So sorry for your loss, Judy will be missed and always remembered!! Blessings from the heart !! I am very sorry to hear about your lose, Judy was a great person and I always enjoyed stopping and chatting with her. She will be missed in the neighbourhood. Thinking of you all during this time of loss. To all of Judith’s family we send our deepest condolences . God Bless you all and keep you strong in this time of sorrow. We are both saddened to hear of the loss of Judy. She certainly fought a hard, but brave battle. Remember her with a smile, as she would wish for you. Her love and your memories will carry on with all of you. Kelly, Kim and families: I am so sorry to hear of Judy’s passing. She was such a kind and gentle person and always had time for a quick chat. She suffers no more and is at peace. I pray for you all that you can get through this difficult time together and remember fondly of her love for you all. God Bless. Kelly, Kim, Father Wayne and families: It is with a heavy heart that I read of your mother and sister’s passing. She was a beautiful person and loved you all from the moon and back. She is at peace now and I know she will always be in your thoughts and prayers. Her laugh will never be forgotten. She loved teaching and making a difference in her students lives. Take care of each other. God Bless. We are very sorry to hear about your loss, and send our deepest condolences to you and your family, take care. Kelly and Kim…your Mom was one of the sweetest and strongest women , I have ever had the pleasure of caring for at the hospital. And it is obvious to me that she passed those qualities on to you both. It is so hard to watch loved ones go though this journey, but you stayed strong and helped your Mom through, despite your sadness.May she be at peace and may you be able to find room in your hearts for all the wonderful memories she has left with you and all the family. So very sorry for your loss. we are so sorry to hear of judys passing. our thoughts and prayers are with you all. our thoughts are with you and as I said before anything that we can do for you please do not hesitate to ask. I’m so sorry for your loss. Your mom was a very special person and I will always remember the great memories I shared with your family. To Judy’s Family, my sincere condolences to all of you. so sorry to hear of the loss of your Mother, Judy was a lovely lady so friendly & kind will miss her I am praying for your families God Bless you. Wayne, I am so sorry to hear of the loss of your sister, she will be missed in the Milton Community. My prayers are with you and Judy’s family during this difficult time. Judy had such pride in her children and felt such strong support from you during her illness. She has set a great example of strength and courage for all of us. Please accept my sincere condolences. May your memories comfort you all at this very difficult time. Kim, Kelly and families….I was sorry to hear of your Mom’s passing. May you find comfort in knowing that her suffering has ended, Now she is at peace and back in your Dad’s arms once again. Judy loved her family and friends and will be missed by many. Rest in Peace Judy…..you are now free of pain and flying with the angels. Father Wayne, Kelly, Kimberly & Families: Our sincere thoughts & prayers are with you at this time and always. Kelly, Kim and Father Wayne. My sincere condolences and prayers are with you at this time. Judy and I were in the Holy Angels Girls group from St.Gregory’s Church when we were growing up but her mother Dora and Vi Doucet always called us the Holy Devils group but we had lots of fun anyway. Rest in peace now Judy, you suffered enough. My thoughts and prayers are with you and your families. I will always remember the great times and sleep overs at the motel where your mother’s laugh was infectious. We were very sad to hear the news of your Moms pasising. She was such an amazing lady who will be truly missed by many. I will always miss our chats and her beautiful smile. Cherish all your good memories, they are so important. Sending many hugs and prayers to help you over the few days. Marge and I are very sorry for your lose.We will always remember our visit to Nova Scotia and the great time we had meeting Dora, Judith, and Wayne. May God bless all of her family. John and Marge Telfer, Apalachin, NY USA. We were so sorry to hear of your loss. Your Mother was a wonderful lady. We will be thinking of you all in the difficult days ahead. Our condolences to all of Judith’s family and friends. We always enjoyed catching up with her when visiting back in Miltion. She was a great person and we will all miss her. Peace at last. You have our deepest sympathy. Dear Kim – so sorry for your loss. You are a strong and loving daughter – my thoughts and prayers remain with you and your family. Sending hugs and sincere condolences. KELLY & KIM & FAMILIES, WE WERE SO SORRY TO HEAR OF YOUR LOSS. THINKING OF YOU AT THIS SAD TIME. SHE WAS A SPECIAL LADY, KEEP YOUR MEMORIES CLOSE. GOD BLESS , HEIDI & BETTYLOU . Sorry to hear about your moms passing. Judy was such a wonderful person and a great teacher. She will be missed by all who knew her. Cherish the memories cause they can’t be taken away. Sincere condolences to the family. I’m thinking of you all all, please take care and let me know if there is anything at all I can do. I am so very sorry to hear about your mom. Please know I am thinking of you all at this very sad time. Please take comfort in knowing that so many people are thinking of you and sharing your grief. I am so, so sorry to hear of your mother’s passing. She was a lovely lady. Please know that we are thinking of you during this difficult time and that we’ll keep you in our prayers. Kim and Family. We are so sorry Kimmie for the loss of your precious mom. It is never easy to lose a loved one. There are no words that can take the pain away. May your memories stay alive in your heart and give you comfort during the days and years ahead. You can be a proud daughter. The love and support you gave your mom during her illness was remarkable. Both Jimmy and I will be thinking of you with love and will keep you in our prayers. Dear Kim,Kelly ,Father wayne; so sorry to hear of Judiths passing. please know that our thoughts and prayers are with you at this difficult time. Melba& Joe. Our thoughts and prayers are with you at this difficult time. We have such fond memories of our times together. Judy had a great sense of humor and a strong faith that helped her through the rough times. She loved you girls and her Grandchildren very much, you meant everything to her. Her pain and struggles are over and we will see each other one day in heaven. May your happy memories give you comfort in the days ahead.. No one is gone who is remembered. My heart is heavy with this news. I know how much your Mom meant to you. Please know that my thoughts and prayers are with you and all your family and friends at this time. By the many beautiful and thoughtful comments here, I can see your Mom was a very special person. You were an amazing caregiver to your Mom Kim and this provided tremendous comfort to her. Sending love and deepest sympathy. So sorry to hear of Judith’s passing. Our thoughts and prayers are with you all at this most difficult time. I was so sorry to hear of Judy’s passing but knew that she had been very ill. Please accept my condolences in your time of sorrow. Judy was a wonderful lady and will be missed by many. Sending hugs and holding you in our thoughts. So sorry for your loss Kim. Although I have never met any of Judith’s family,your mom and I were childhood friends. Just want you all to know that my thoughts and my prayers are with you all. God Bless. May she rest in peace.So thankful that I was able to have a visit with her in August. Our sincere sympathies to your family in the loss of Judith. I ( Florence ) am one of the cousins. Your mother and I used to spend a fair amount of time together when we were kids. As we got older we did not see each other very often as our lives went in different directions. Still I remember my slightly older cousin who always looked great and who always had time to talk to me. Our thoughts and prayers are with you. I am so saddened by your loss. May your loving memories keep her close to you forever. Thinking of you at this difficult time. Sending our sincere condolences with the passing of your mom. She was a very fortunate lady to have such a strong family to help her fight such a horrific disease. Keep memories of your mom close at heart. They are what’s going to bring you smiles to get you through your roughest days ahead. We were sorry to hear of Judy’s passing. She was a very caring person and will be missed by many. Our thoughts and prayers are with you. So sorry to hear of your Mom’s passing. She always had a great smile and loved to have a chat with us. She was so proud of her family and loved you all. Our prayers are with you. So very sorry to read of Judy’s passing. She mentioned in her Christmas letter that she was waiting until after the holidays to find out the results of some tests and we had not been in touch since. Judy and I went to LRHS, roomed together in Truro during Teacher College days and did our practicums together in the Liverpool schools. Our paths went different ways but we did keep in touch yearly and then we spent a fun weekend during the 50 year reunion of NSNC in Truro. She loved life, had praise for her family and was always so proud of your accomplishments. To Kelly, Kim and Father Wayne my deepest sympathy. Cherish the time you spent together and allow your memories to help in your healing. So sorry to learn of Judy’s passing, a beautiful and caring lady. I am so sorry for your great loss, cherish all the great memories you have and hold them close to your heart.